People usually look at the price tag to determine whether something is cheap or expensive. But, surely, we can do better. There is a huge difference between the price you pay for something and what it actually costs. For example, the price of one huge sauna towel is 15 USD and the other has a price tag of 27 USD. The first one is made to last you 1 month of everyday use in a salon, and the other can take up to 4 months of everyday washing and disinfecting. So, the actual cost of the first one will be 0,5 per day and the second one - 0,225. And in this case, cheap will mean more expensive. In this section, we have a line of best cheap microdermabrasion devices for sale. 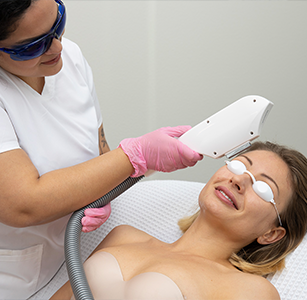 These machines are not made for crazy-buzzy salons and spas, but they can become expensive quality equipment for a smaller type of beauty business, it would be a fantastic machine for home use with a very low price tag. So, let’s talk cheap microdermabrasion machines! How Does A Cheap Machine Compare To Other Devices? We are not going to compare the features, quality, and durability of a 9 000 USD machine to a 300 USD one. 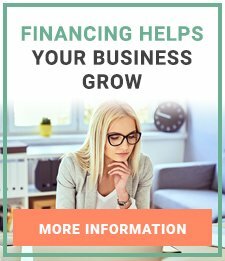 But, we can for sure say that if you are just opening a small beauty salon or you have decided to become an on-the-site beauty professional – these are the perfect machines for you. And we can speak from experience when we say, that this kind of machine would be very practical. They are all very light and beautifully designed, will easily fit anywhere. The machines are easy to set up and dismantle, easy to clean and to travel with. Plus, with microdermabrasion, you really have to know what you are doing and follow a specific technique when performing the procedure. 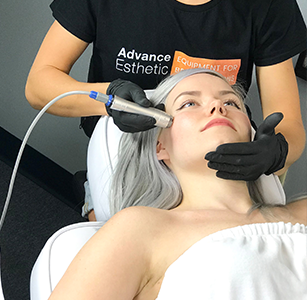 Microdermabrasion technique means holding the diamond wand at a certain angle and at the same time pulling the skin area being treated. The same amount of pressure should be applied throughout the procedure in every area of the skin surface. The treatment really needs to be consistent. So, this means the results have a much to do with the actual beautician performance. 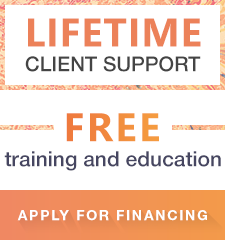 So, if you are properly trained, the cheap machine won't take away from the treatments. 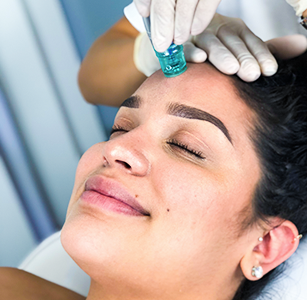 Plus, it’ll give you additional time to understand the basics of the procedure before moving on to more advanced treatments and high-tech machines. Why Invest In Best Cheap Microdermabrasion Equipment? Microdermabrasion became a vital part of the beauty scene in the late 90’s and it is still trending. Thanks to technological advances we gained all of the amazing benefits of this treatment with none of the pain, skin damage, scheduled downtime. Experts agree that skin rejuvenation which inevitably happens after microdermabrasion is actually natural body response, same as with wound healing. When the horny layer of skin is removed with the diamond wand the body, though left unharmed, starts all the necessary healing processes of skin regeneration. Proper skin hydration, elimination of small lines and wrinkles, better texture and flawless compaction, effectively cleaned and thoroughly exfoliated skin and, last but not least, treatment activates all of the vitamin-filled age-defying creams and serums. Those are the main reasons to buy the equipment. This is a very non-invasive procedure with no downtime, so the risk varies from minimal to non-existent. But, estheticians should always ask about prescription drugs that make the skin extra sensitive (accutane, prescription-strength retinol, tretinoin and so on). There are a few month waiting period after any surgery. In this category, you can find the best cheap microdermabrasion equipment. We sell the best machines available on the beauty market today. With us, you get the best quality and you can be a 100% sure in your client’s safety. We are a company with more than a decade of experience and we do pride ourselves on our professionalism and commitment to the highest level of customer satisfaction. Please check out our cheap microdermabrasion machine for sale in this section or, better yet, visit our showroom. Our doors are always opened!